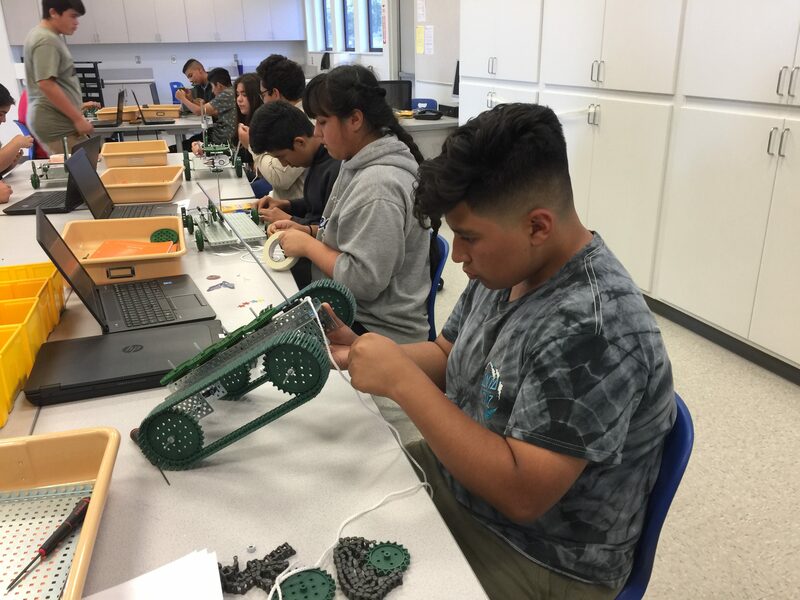 BALDWIN PARK – As Jones Junior High School eighth-grader Raymond Perez pulled the small metal vehicle along the ground, its wheels turned a gear on the chassis, which in turn rotated a set of horizontal rods – each one decorated with a ghost from the Pac Man video game. The faster he pulled, the faster the ghosts spun. The Project Lead The Way class is in its first semester at Jones, which along with Holland Middle School, provides Baldwin Park Unified students with a dedicated science, technology, engineering and math (STEM) curriculum. 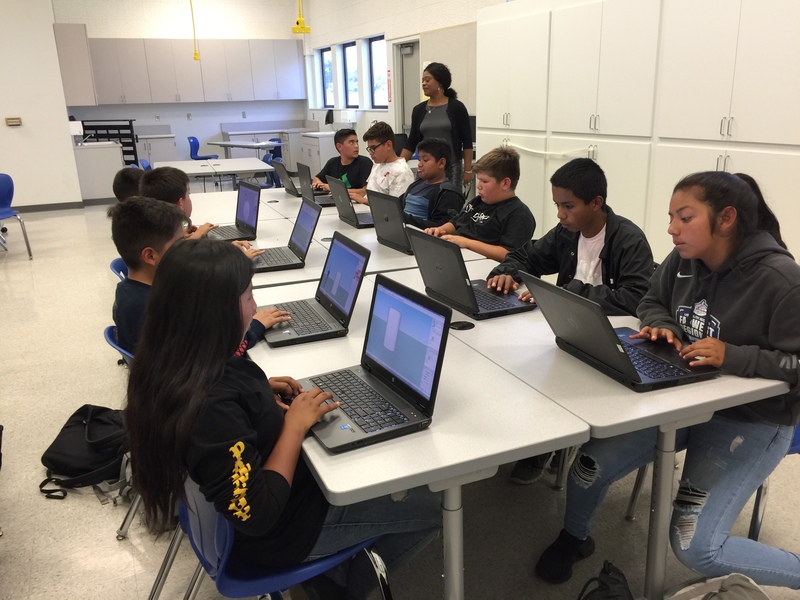 The class is one of two launched at Jones this spring after the completion of a new STEM lab with state-of-the art electrical systems, upgraded storage and lighting, and reconfigurable work areas so students can collaborate. They are also equipped with a dedicated bank of HP laptop computers. The lab can accommodate more than 30 students. Perez and his classmates had a chance to express their creativity in designing their vehicles, with images such as Super Mario popping out of a pipe or a shark chasing a fish when pulled along by a string. Maya Garcia and Jose Flores created one decorated with aliens. Jones also introduced a Design and Modeling course for seventh-graders. Students in Nkechi S. Domnwachukwu’s class are turning two-dimensional sketches into three-dimensional models using sophisticated software. They are also designing items to help children with cerebral palsy and the creating models for their tools. Kristal Cruz created a handball gripper that children with cerebral palsy could use to strengthen their hands. The tool uses oobleck, a substance that becomes solid when hit, but is gel-like in other ways. “You just squeeze it real slowly and it’s able to help the muscles,” Cruz said. Luis Galindo created a model hand that moves in response to a child’s hand movement, extending their ability to pick up items. “This hand helps them to grab things and it’s also for them to play with,” he said. 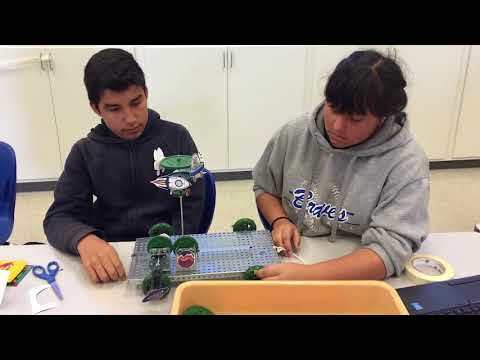 BPUSD_Jones_STEM_1: Eighth-grader Alejandro Hernandez and Maya Garcia at Jones Junior High School assemble metal cars during an Automation and Robotics course. 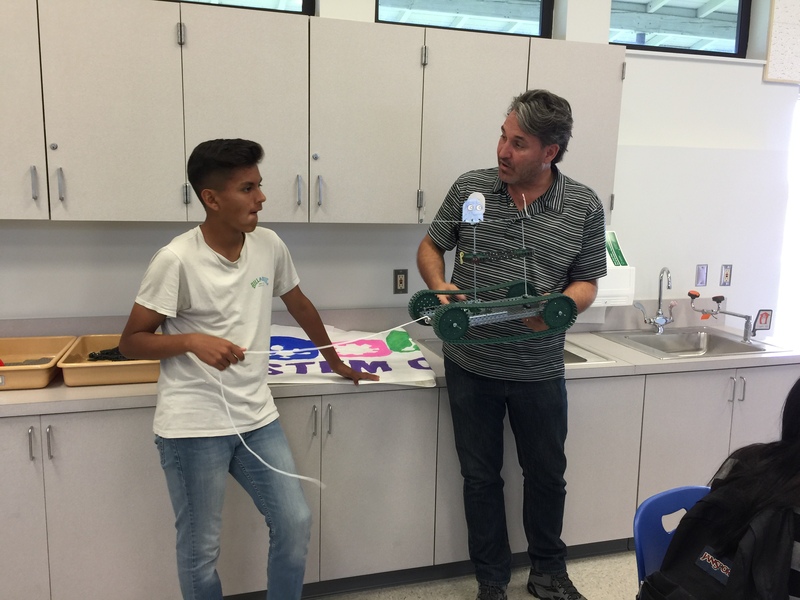 BPUSD_Jones_STEM_2: Jones Junior High School eighth-grader Ivan Rosales discusses the design of his metal car with teacher Sergio F. Dallator during an Automation and Robotics class, held in the school’s new STEM lab. BPUSD_Jones_STEM_3: Jones Junior High School seventh-graders convert two-dimensional sketches into three-dimensional designs in the school’s new STEM lab as part of a Design and Modeling class lesson. 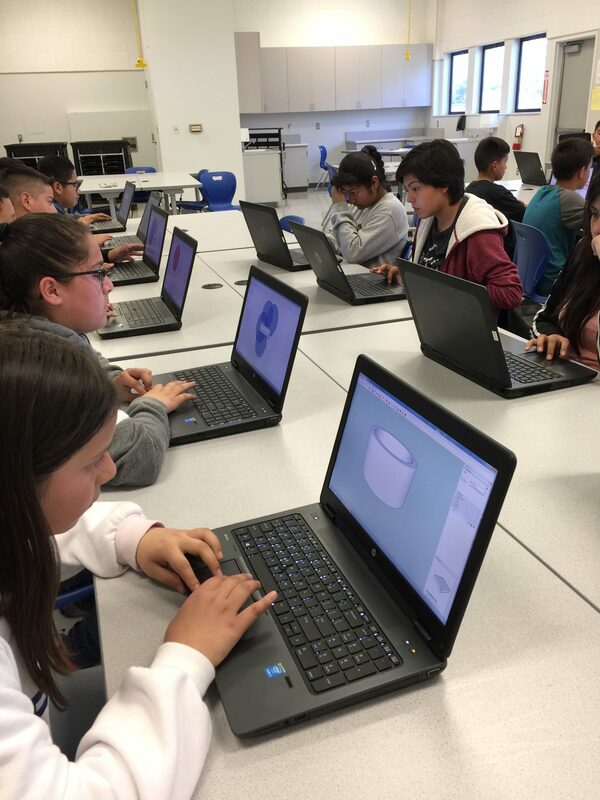 BPUSD_Jones_STEM_4: Jones Junior High School seventh-graders convert two-dimensional sketches into three-dimensional designs in the school’s new STEM lab as part of a Design and Modeling class lesson. Eighth-grader Alejandro Hernandez and Maya Garcia at Jones Junior High School assemble metal cars during an Automation and Robotics course. Jones Junior High School eighth-grader Ivan Rosales discusses the design of his metal car with teacher Sergio F. Dallator during an Automation and Robotics class, held in the school’s new STEM lab. Jones Junior High School seventh-graders convert two-dimensional sketches into three-dimensional designs in the school’s new STEM lab as part of a Design and Modeling class lesson.